Parivartini Ekadashi, also known as Parsava Ekadashi, Vamana Ekadashi and Jayanti Ekadashi, is observed during the waxing phase of the moon (Shukla Paksha) in Bhadrapada month. Parivartini Ekadasi is on September 26 in 2012. Vamana Avatar of Lord Vishnu is worshipped on this Ekadashi day. Parshva Parivartini Ekadasi or Vamana Ekadashi is observed on the eleventh day during Shukla Paksha in Bhadrapad month. It is believed that the Vamana Avatar took place during this period and therefore, the Ekadasi is also known as Vamana Ekadashi. The importance of Parivartini Ekadasi was narrated to Yudhisthira, by Lord Krishna. Parana means breaking the fast. Ekadashi fasting on both days is suggested for staunch devotees who seek for love and affection of Lord Vishnu. The Hindu devotees also believe that Lord Vishnu had changed his position of sleep on this day from left side to right side. So changing is called as parivarthanam. 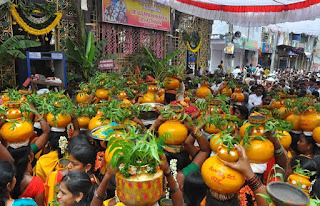 Ekadasi happens during the Dakshinayana Punyakalam. Parshva Ekadashi is one of the Ekadashi vratas that falls during Chaturmas period. Parivartini Ekadashi revolves around the legendary King Bali. As the bali chakravarthy is a danava but he devoted lord vishnu more, bali took the heaven from indra. Indra worshiped lord vishnu to returning the heavan from bali chakravarthy. King Bali is doing a yagnam Supreme Lord came in Vamanadev form, the dwarf incarnation, whose eyes are like lotus petals. Vamanadev asked 3 steps of land, when king bali accepted to give he became large and In the first step, Lord Vamana covered the heaven and in the second step he measured the earth and there was no place to keep the third step. King Bali bowed his head and asked Lord Vamana to place the third step on this head. Parivartini Ekadashi is observing holy fast. The person observing Ekadashi has to wake up early in the morning and has to perform the necessary routine activities while doing which he should be mentally prepared for Ekadashi. After dasami the day which follows is Ekadashi which is meant for complete fasting. perform Arati however others simply observe fast and chant the lord vishnu stotrams. The day of Parivartini Ekadasi is also traditionally celebrated, by placing Bhagwan in a wooden boat and floating him on water. People observing a fast on Parsava Ekadashi should refrain from eating foods made from rice, grains and beans. 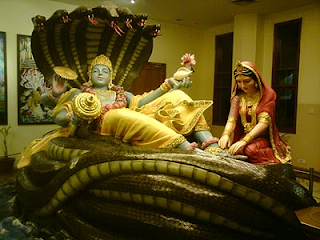 It is believed that by doing so he worships Bramha, Vishnu and Shiva.